Tera te pukohu tairi ana mai Te tara ki Tautari, kia tangi atu au. Behold the mist suspended high up yonder, On the peak of (Maunga)Tautari, which causes me to weep. Maungatautari is an elegant volcano located in the heart of the Waikato, about 15km south of Cambridge. 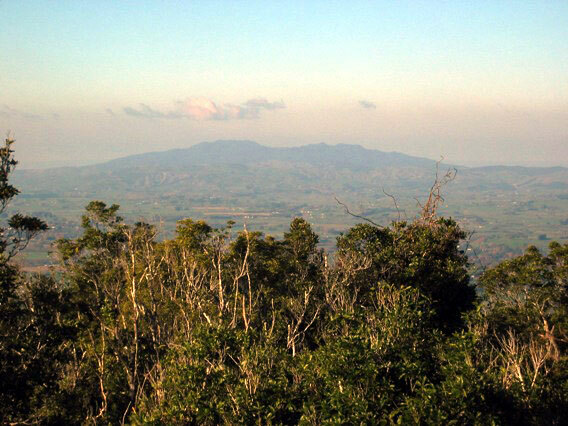 The mountain is covered in bush and forest, and the Maungatautari Trust has embarked on a mission to build predator free areas on the mountain. One of their aims is to reintroduce threatened species such as kiwi, kokako, giant weta, and tuatara. 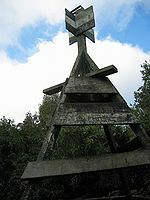 Although Mangatautari (at 797m) is the highest point, the smaller Pukeatua offers better views, but luckily you can bag both on a cross mountain day walk. There are a few different options for bagging both Maungautatari and Puketea. 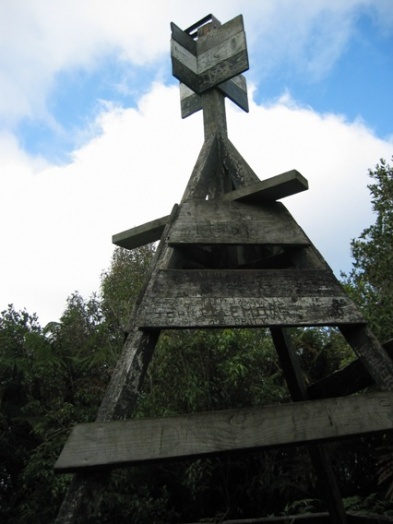 Maungautatari is the only official peak on our list, but unless you climb its trig, you need to go to Puketea’s summit as well to get the views. One option is the 5-6 hour traverse of the mountain, from Hicks Rd to Tari Rd, or vice versa. You will need to arrange transport for this option – some of the accommodation providers listed at the Maungatautari Trust accommodation may be able to offer some transport. If you prefer to do return trip, you can park at the end of Hicks Road, and take the signposted track up the northern slopes of the mountain. The last section of the track is boardwalked to avoid the mud. If you wanted, you could continue on past Maungatautari’s summit to the lower Puketea, and then return the way you came. There is now a new track which goes to Puketea. The second section of the new all-weather track has now been completed from the base of Pukeatua peak to the board walk just before Maungatautari peak. That means you can now walk on an all-weather track from Tari Road to Maungatautari peak. Some people may like to take the new walk to the peak from Tari Road and then walk back via the old track which would take in Pukeatua peak. The ‘Old Track’ from Tari Rd to Puketea still exists, but you can combine the ‘New Track’ with the ‘Old Track’ to make a loop walk. The ‘Old Track’ has more tree roots and scrambling sections, while the “New Track’ is a wider metalled path, providing easier walking (although there is still a scramble near the Puketea summit). Both tracks are signposted. For more detailed information on all the walking options on Maungatautari, see the comprehensive Maungatautari Trust Walking Tracks page.